That’s right, pretty much anything. It’s addictive, we feel the pull, and it isn’t until we get the sweet release from having a mouthful of the thick, textured, traditional French toast that we can finally sit and chill. I was craving brioche French toast for at least 24 hours. But it wasn’t the timing that got me, it was the crescendo of desire, begging to be appeased. To my disappointment, brioche had been taken off the menu. In its place, I was promised that the thick cut white toast would make a good substitute. The sticky wet nectar from trees of maple came pouring out, dousing the thick cut bricks of toast. It created a little pool that mixed pleasantly with the cream and candied oranges. 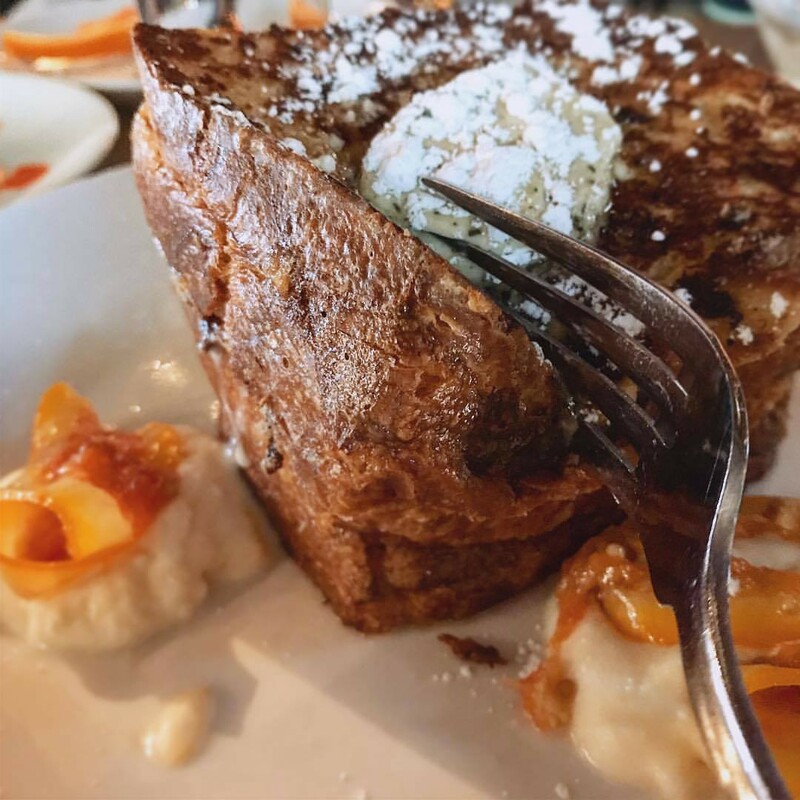 An orange creamsicle perched atop the bite of the long-awaited French toast before being swirled around, dancing bachata with my tongue.